Thanks for taking an interest in the concepts presented on this web site. We need your feedback, participation and comments. Help us improve and refine these concepts. 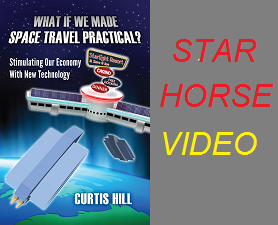 We hope for this web site to become a clearing house of ideas to reduce the cost of space travel. If you want to get involved with the Star Horse Project, there is much you can do to help. Everyone has an expertise or talent that can contribute to the cause. Let us know your skillset and we can discuss how you can help. Let’s make our space-age dreams a reality. Allowing us to publish your signed letter reviewing these concepts will be helpful. Everyone can help by blogging about this web site to get the word out. Use your social media contacts to spread the word.